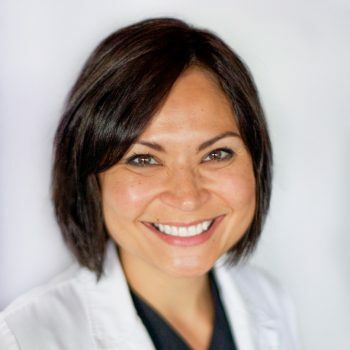 Maria Hillmer is a Board-Certified Family Nurse Practitioner and Board-Certified Advanced Practice Nurse Prescriber. She graduated from the University of Wisconsin, Oshkosh with a Bachelor of Science in Nursing in May of 2010. She then graduated with honors from Concordia University with her Master of Science in Nursing in May 2013. She has extensive experience and training in working with children and adolescents, as well as adult and geriatric populations. Her professional areas of interest include skin cancer detection as well as the treatment of acne, rosacea, eczema, psoriasis and warts. Cosmetic dermatology includes Botox and facial chemical peels. Maria is also certified in MiraDry, which is the safe and permanent treatment for excessive underarm sweating. She strives in offering the most up to date treatment options while using evidenced-based practice and delivering compassionate care to her patients. Hobbies include biking, reading, traveling and spending time with her wonderful husband and three children. Skin is a true reflection of general health and well-being. Working in dermatology is a bit like being a detective – you can use the clues to diagnose conditions, which is very rewarding. Maria is a wonderful NP! She is kind, caring and professional. She knows her stuff and has excellent "bedside manner". I would highly recommend Maria to anyone looking for an excellent Dermatologist! They are very friendly and eager to explain all of your options for treatment. It did not take long to wait for an appointment. Maria is always so friendly, knowledgeable & helpful! Maria is always professional, engaging and friendly during office visits. She puts the patient (my teenage daughter) at ease during the appointment. She is very friendly, definitely knows what she is talking about and it is easy to be there for a long time just talking. Really do recommend her. Great experience. Very professional dermetalogy treatment. Well explained treatment process as well as expectation for resulting outcome. I was able to get in to see the doctor the same day that I called. That is rare in my experience. I believe that Marie have begun a good medical relationship which should prove valuable for both of us.